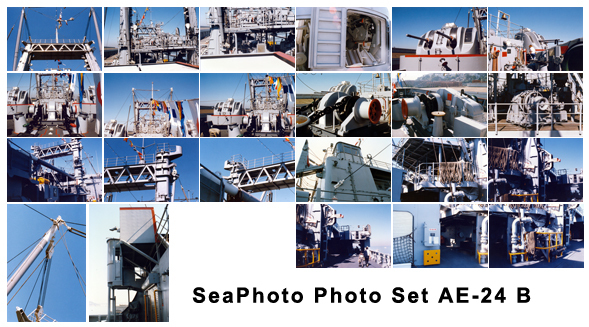 SURTASS stands for Surveillance Towed Array Sensor System. 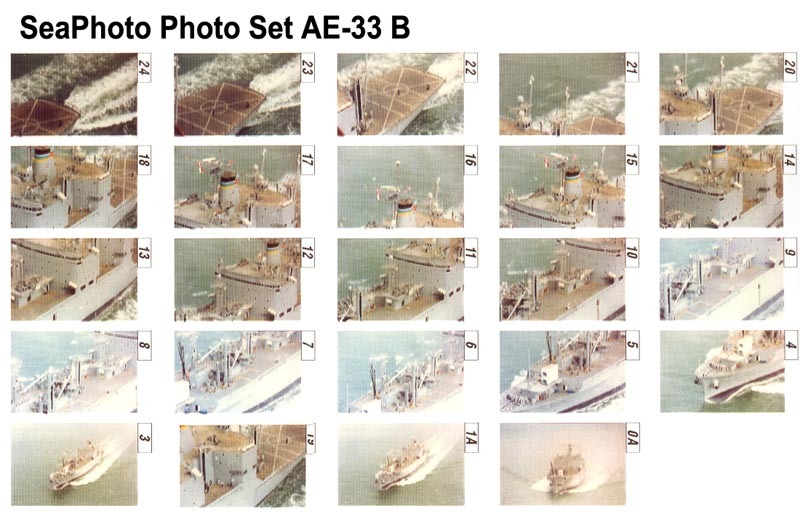 Vessels of these classes were to be used in time of war to locate enemy submarines by trolling long hydrophone arrays behind them - literally trolling for submarines. Appropriately enough, the first class was based on commercial fishing ships. With the demise of the Cold War, many have been transferred to ocean research applications. These very large (almost 800 feet long) combination support ships can supply fuel, ammunition, food and the other items needed to support fleet operations. The Sacramento and Camden have the machinery that was destined for the cancelled battleship Kentucky (BB-66). The follow on to the Sacramento class, they able to carry the same stores, in slightly smaller amounts. Taken 6/94 at San Diego, from boat. 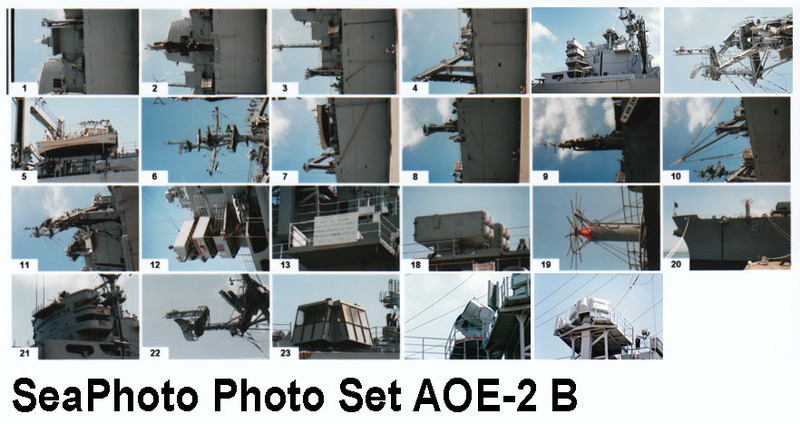 Built in the early 1980's, they are designed with a capacity to refuel a conventional aircraft carrier twice per load. Fast supply ships designed to replenish missiles and other munitions to the Fleet. Built during the late 50's from the Keel up as Naval ships, they are now retired. These photos are available as a digital download. 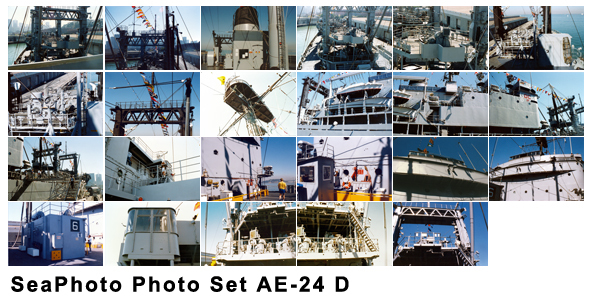 Built in the mid 60's, these ships have been transferred to the Military Sealift Command. Built to support Nuclear Submarines of the Los Angeles Class. Two are still on active duty. Converted to support nuclear submarines, retired during the 70's and 80's.